This serum contains some of the top choice oils for delicate facial skin and hydrating hair. *Lavender essential oil assists in treating acne, heals scars and is beneficial as antioxidant. *Rose essential oil also helps with scar fading and as an astringent to tone skin. 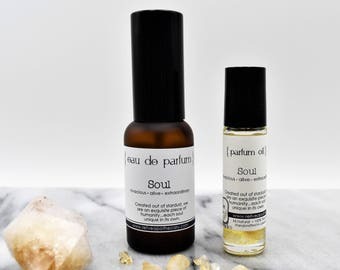 For those with very sensitive skin or who prefer a facial serum with no scent, we now offer this without essential oils (unscented), although the essentials above do offer added benefit for delicate facial skin. Argan oil also known as "liquid gold" or "miracle oil" contains nutrients that the skin needs to moisturize and keep skin healthy, such as tocopherols, phenols, carotenes and fatty acids. It works with hair to be absorbed into the shaft to eliminate frizz and produce shine. 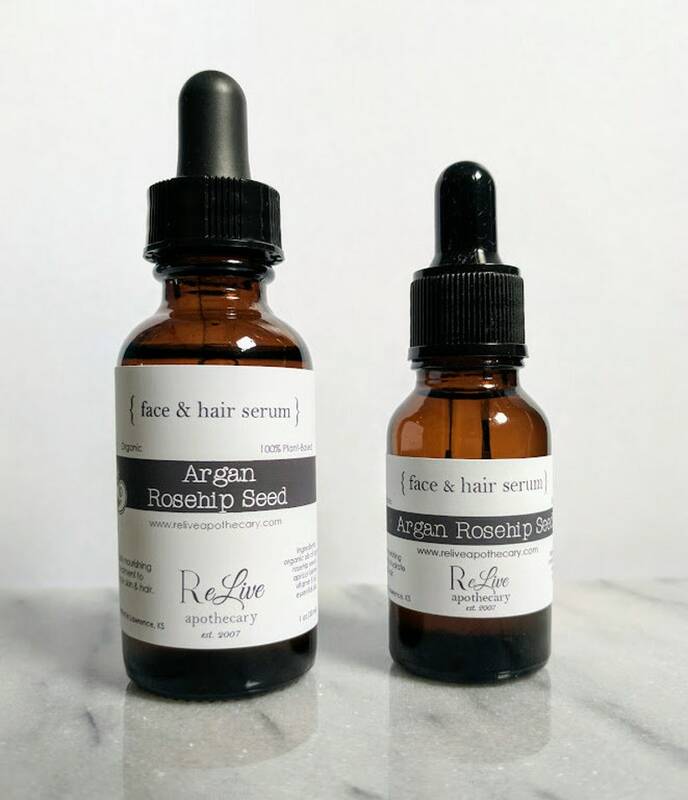 Rosehip Seed Oil is a wonderful hydrator to moisturize skin and hair. It is one of the best anti-aging oils. It contains fatty acids, vitamin A and vitamin C that assist with cell turnover action. Apricot Kernel Oil is perfect for delicate, mature or sensitive skin, also containing vitamin E, vitamin A & fatty acids. It's a lightweight, quickly absorbed oil. Use daily morning (under makeup) and at night to keep skin hydrated, to even out skin tone and assist with skin damage to keep your complexion healthy and glowing. It's a light serum that absorbs quickly and will not leave an oily residue behind when used on the hair or face. A small amount goes a long way. 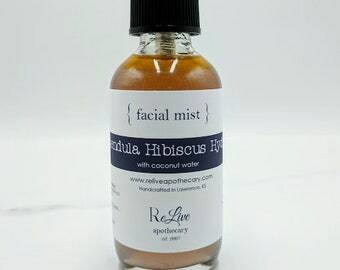 For facial application: apply to face and don't forget the sensitive skin on the neck and chest area too! For hair application: apply to mid shaft to ends to tame frizz and smooth hair follicles. This can also be used as a deep conditioning element for the scalp and is recommended to apply the night before you shampoo to combat dryness and flaky scalp. Overnight the serum sets in to provide the scalp with nourishment. Wash hair as normal the next day. To ensure your serum lasts longer, keep out of direct light and store in a cool, dry location. Love working with Casey --- I'll be back for more!